Learning Hindustani Classical vocal since 13 years. Teaching since 5 years. 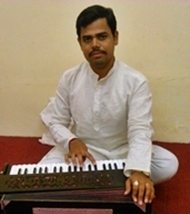 He has done BA Music from Dharwad University. MA Music from Manasagangotri, Mysore.